Looking over the YouGov poll in the Telegraph today, a few things jumped out at me. Gordon Brown’s approval rating is 23%. I didn’t think it could get much lower when it was 10 points higher a month ago. Even George Bush can manage 33%. This poll must be the worst for any sitting government since opinion polling began; and that is not an exaggeration. I got this picture from Andrew Percy, the prospective Conservative candidate for Brigg and Goole. You have to laugh! Labour woes, part…? I’ve lost count. And so it goes on. 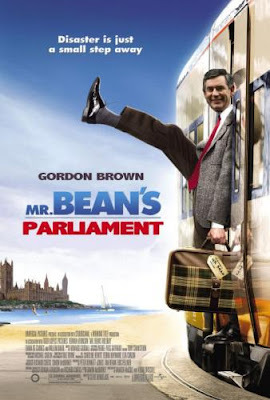 I said yesterday that Brown come become the most embattled prime minister in recent history. With events moving so fast, I think he has become just that. An opinion poll in the Telegraph tomorrow puts the Conservatives 11 points ahead of Labour – 43 to 32. Two months ago, Labour enjoyed the same lead. The Met will be feeling the collars of Gordon Brown and his entourage. Harriet Harman has failed to register loans she received to help fund her campaign for the deputy leadership of the Labour Party. Peter Hain has admitted he has not declared £5000. Iain Dale predicts Harman will be gone by Monday. I think he is right. If she has any honour, she will resign as Deputy Leader and resign as Leader of the House of Commons before she is pushed. She has so clearly broken the law. If a Tory had done that, I can just hear the condescending platitudes emanating from her. She will now have to swallow some harsh medicine. With worries that the economy it set for a downturn and Brown’s crisis management non-existent, Labour must now realise that their time in power is coming to an end; and it can’t come soon enough. Read here what Gordon Brown’s vision is. If I have read him right, he believes in smaller government and the servant state. This is the chancellor who wants – and indeed does – tax us more. The man who believes in the state interfering more in our lives, rather than less. I can feel a general election coming very shortly. This has to be a ploy to con the electorate in to thinking he is somehow different than the rest of the Labour Party, and different to his past too. How many people does he think he can fool in to thinking he has had a ‘Road to Damascus’ experience? Listening to people? You have only done that at election time and then conveniently forgotten what you were told.How many more lies is he going to tell? I don’t think Brown has changed, do you? Gordon Brown will be glad of the rest from PMQs. The State Opening of Parliament has come at just the right time. Once again he shows how rattled he gets when David Cameron turns up the heat. Cameron on the other hand how cool he is on the big occasion. As the months roll by, the voters will be able to judge for themselves which one they think is the better leader; someone who is easily rattled or someone who is cool in a crisis. We may have been glad to see the end of Tony Blair, but we all know how he would have reacted to David Cameron during their exchanges in the past three weeks. At the very least, we could have confidence that Blair was a cool head when a cool head was needed. Since the wheels have started to come off the Brown premiership, we no longer have the confidence our new prime minister will react in the same way. Cameron is looking more prime ministerial and his front bench team are looking more like ministers. More of the same please. A question to Gordon Brown. If they EU Reform Treaty is as good as you say it is for Britain, then why are you so frightened of a referendum to let the electorate of the UK decide? Good on you, Gisela. It’s good to see someone that used to love the lies and spin having a Damescene moment and realising that you can tell the truth in politics. I can’t see it working with her leader though. A life without lies and spin would make Gordon Brown even more miserable than he is now.